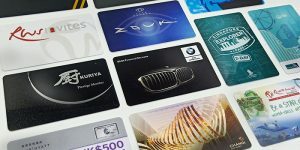 Idealcard has been a leading supplier of custom-printed plastic cards for nearly 3 decades, we pride ourselves on our customer service, working closely with you to create unique and effective Plastic PVC cards of the highest quality at affordable prices. – Luggage Tags, and many more. The quality of the plastic cards, be it a membership cards, photo ID cards or whatsoever, they carry an impression about yourself and your businesses. Hence we understand your plastic card printing needs and provide plastic cards with superb print quality and splendid finishing which are easy on your pockets too. We welcome any enquiry and would be delighted to assist you in meeting your requirement. If you have any questions, feel free to drop us a note by completing the form below and we will get back to you shortly!